A team composed of educators in the areas of Science, Technology, Engineering and Mathematics (STEM) and members of the organization Ciencia Puerto Rico (CienciaPR) will participate in an event organized by the Smithsonian Education Center and sponsored by Shell Oil Company, on March 22-24, 2019 in New Orleans. The team that will represent Puerto Rico is formed by members of the educational region of San Juan: leaders Lydia Báez and Marta Oyola, teachers Mildred Vega and Dimarilys Bruno, and by Dr. Greetchen Díaz, Director of Science Education Programs and Community Partnerships for Ciencia Puerto Rico, a non-profit organization that brings together 10,000 professionals and STEM educators with the mission of democratizing and transforming scientific education. Approximately 20 teams were selected nationwide to participate in the prestigious summit that will take place at Xavier University, for the creation of a model to retain and/or attract teachers that can be replicated in other districts. The team proposed to implement the Ciencia al Servicio (Science in Service) project, in all the middle schools of the San Juan educational region, as a tool within its professional development and teacher retention plan. The project created by CienciaPR, which is already in its first phase, brings together experts in STEM areas, educators and students to implement science lessons that foster critical thinking, present role models and promote community integration and service. 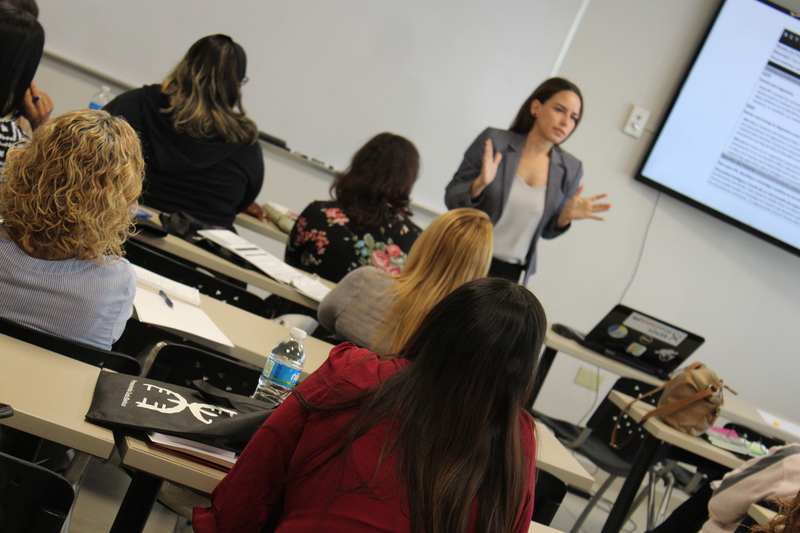 "Ciencia al Servicio fosters a collaborative relationship with scientists and provides training for the teachers, to create a research culture within their classroom that empowers them and their students," said Dr. Greetchen Díaz of CienciaPR. "It is great news and an example of collaboration, demonstrating how the region will be working to meet its needs and the opportunity to develop the talent of our DE colleagues. We know it will be an experience of a lot of professional growth and that, in turn, we will be able to stimulate more teachers to compete in other summits of this type. Governor Ricardo Rosselló’s plan contemplates the certification of teachers and development of STEM laboratories for 28 schools, and this significant achievement will help the efforts we have begun," said Secretary of Education, Julia Keleher.